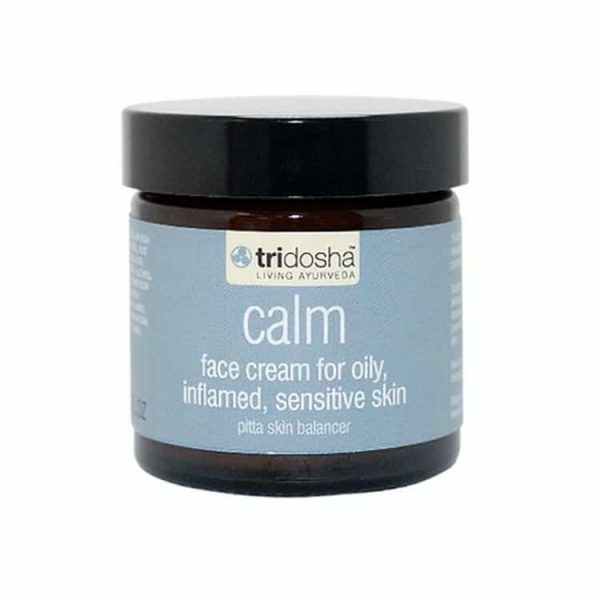 Tri-Dosha Pitta calming face cream. With a light moisturising blend of natural Ayurvedic skin balancers this is perfect for oily, sensitive, red or inflamed skin. Soothe your skin with this light moisturising blend of natural Ayurvedic skin balancers. Thanks to sandalwood, which calms irritation and retones the skin and amni-haldi, an effective stimulator, this cream is a powerful purifier. The perfect potion for oily, sensitive, red or inflamed skin.